The cold war may be over but that won't stop Tony G. and The Devilfish doing battle across the felt during Party Poker's European Challenge tournament, at the Concorde Card Casino, Vienna, this spring. In four days time the PartyPoker.net European Challenge in Vienna, Austria will be getting underway. 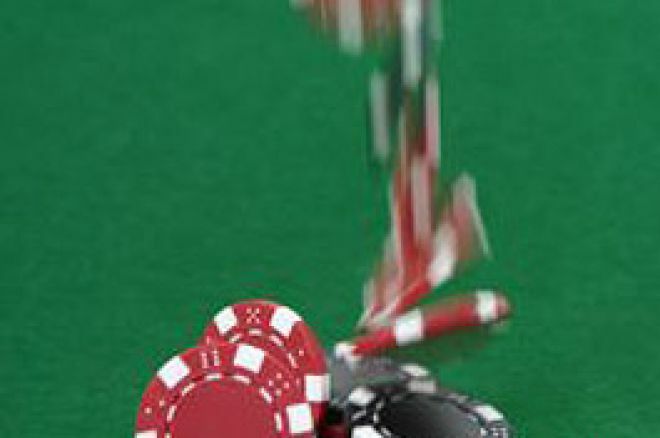 The event will be at the heart of the 2007 Spring Poker Festival. A team of online qualifiers from Eastern Europe take on a team of Western European online qualifiers in the PartyPoker.net East versus West Cup, a €100,000 freeroll at the Concord Card Casino. Just to spice things up, Party Poker have brought in two of the highest profile names in poker as team captains. Tony G. will head the team from the East. Tony, who is no stranger to controversy, caused a stir in last year's Intercontinental Poker Championship at the Palms Hotel and Casino, Las Vegas (also a Party Poker event). After an interesting hand involving Russian Ralph Perry, which many readers will have seen on the YouTube web site, commentator Gabe Kaplan said, "Tony G is single handedly trying to reignite the cold war". Tony, who is of Lithuanian descent, will be leading a number of Russian players in this challenge! Meanwhile the West will be captained by UK favourite, Dave "Devilfish" Ulliot. The Devilfish has already tangled with Tony G. in the last week. Both of these big guns were firing at the Party Poker Premier League in Maidstone, which was covered exclusively on UK PokerNews. The Devilfish started the war of words early with Guoga when he said, "Tony G is like a puppy dog, lots of bark but no bite." Never one to take a shot across the bows lying down, Tony G. retorted, "Devilfish lost it at Premier League Poker – it should be easy because he is not on his game." A PartyPoker.net spokesman said: "Something has got to give here. They've been in each others faces so much in the last week or so and it wasn't all smiles when they failed to say goodbye to each other at the Poker Den. Phil Hellmuth really stirred the pot too. We'll definitely need to draw an iron curtain between them now. I think we've done a good job in making them both insane! It was deliberate, of course!" The final table of 10 for the PartyPoker.net East versus West Cup will share €50,000, while the winning team will get €50,000 split between them. PartyBets, which can be accessed by PartyPoker account holders, cannot split the two teams when it comes to pricing up this event. Both teams are 5/6 currently with the online betting site. Team Poker News WSOP $12,000 Freerolls are Up and Running!